Physicians use microscopes for dermatology, histology, hematology and microbiology. Depending on the application, phase contrast might be used. High quality optics are a prerequisite. A few common laboratory microscopes used by doctors include the Meiji MT5300 and the Motic BA310. Motic BA410 microscope set up for phase contrast. 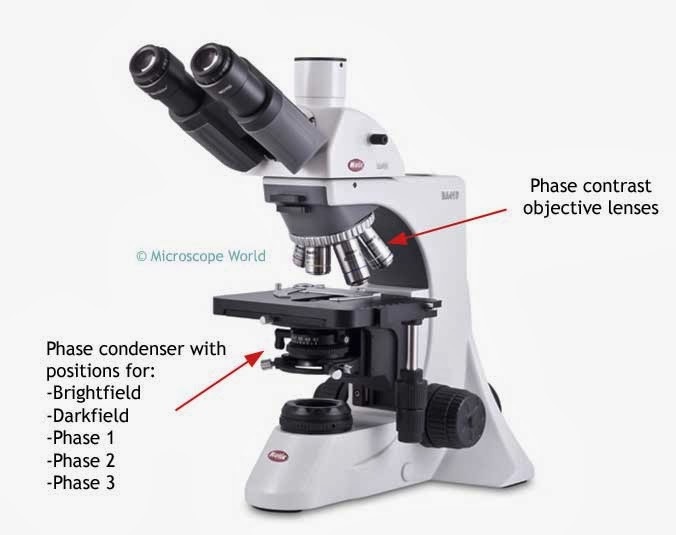 Microscope World has a specific physician microscope page on our website with the most commonly purchased laboratory physician microscopes. 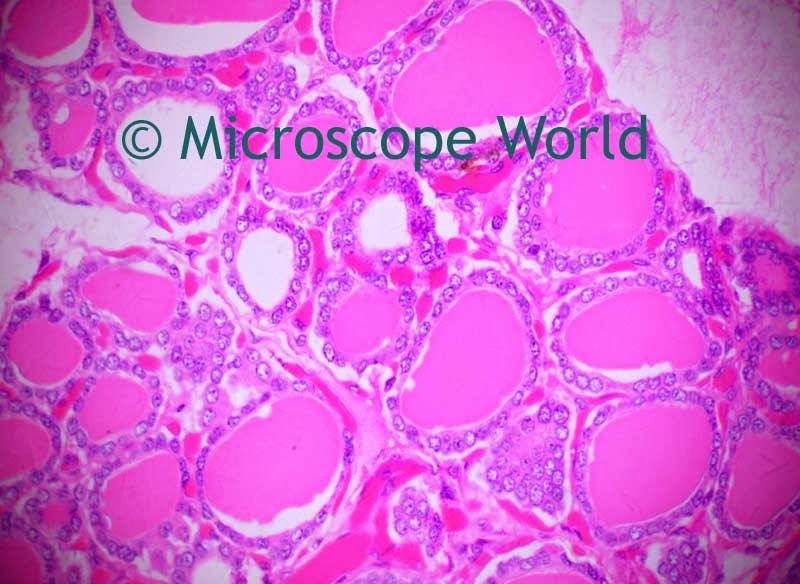 Histology image captured with physician lab microscope. If you are a lab or a doctor looking for a specific microscope setup, please contact Microscope World for a customized quote.